Who the f*ck is Tori Bailey? There’s no doubt that Tori is winning the game of life. She’s inspired millions of women to stick two fingers up at convention with her bestselling memoir, and she has the perfect relationship to boot. But Tori Bailey has been living a lie. Everyone around her is getting married and having babies, but her long-term boyfriend won’t even talk about getting engaged. And when her best friend Dee – her plus one, the only person who understands the madness – falls in love, suddenly Tori’s in terrifying danger of being left behind. When the world tells you to be one thing and turning thirty brings with it a loud ticking clock, it takes courage to walk your own path. It’s time for Tori to practise what she’s preached, but the question is: is she brave enough? 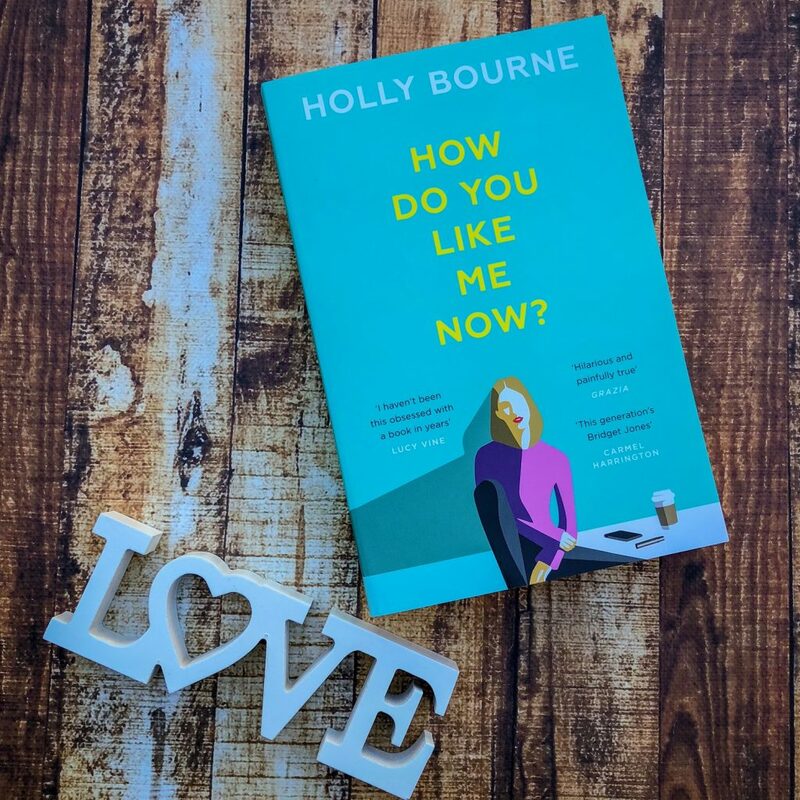 The debut adult novel by bestselling author Holly Bourne is a blisteringly funny, honest and moving exploration of love, friendship and navigating the emotional rollercoaster of your thirties. How Do You Like Me Now? by Holly Bourne is hilarious and honest fiction. It’s about women and what they’re ‘expected’ to be. It’s about social media and how people’s lives are very different from what they appear to be. It’s about turning thirty and the milestones in life like marriage and babies. It’s also about friendship and relationships, and how easily women can accept that they’re the issue in a relationship when really they’re being manipulated. Tori is in a long-term relationship that doesn’t seem to be working. She knows it, but she is committed to seeing it through. Any woman who has been in a loveless or hopeless relationship can relate to this. You tell yourself it’ll get better. You tell yourself that you’re actually happy, but you’re just overthinking it. You tell yourself that he actually does love you even though he may not show it. Tori is also a really successful author, but she doesn’t actually feel that great about herself. She’s getting older and her body is changing and her expectations are changing, and she doesn’t know how to manage that. It’s a refreshingly honest depiction of being a woman. If you’re at the point in your life when all your friends are engaged, married, and/or pregnant/with kids, then you’ll love this novel. It really is this generation’s Bridget Jones. The shining element to this novel is it’s incredible reliability and on-point humour. I found myself crying with laughter — shaking and having to put the book down for a moment so I could regain my composure. Not everyone will love this novel as much as I did, because not everyone will be able to relate to it as much as I did. But this truly is one of my favourite books of 2018. The only thing about this book that I have to criticise is that there didn’t *really* seem to be much of a plot. There were many storylines — sure — but nothing really major. In fact, it seems like a collection of sub-plots thrown together in the novel. How Do You Like Me Now? is for women — for girlfriends, wives, mothers, single gals, career women, friends, and any other mould you feel like you might fit. I challenge you to read this. Mostly for the laughs, but also for the harsh truths. The lies we tell ourselves and the ridiculous things we buy because we feel like we have to. And the relationships we pursue even though they’re a waste of our time. Read this, and you’ll laugh out loud. Read this, and you may laugh so hard that you cry.